Entertainment Alliance provided all types of inflatable fun and games for any type of corporate or private events. Euro Bungee - Size: 50' Long x 50' Wide x 40' High This is sure to be a crowd pleaser! Strap in and start doing front or back flips, and even bouncing as high as 20 feet in the air if you choose. The participants are strapped into safety harnesses with bungy cords attached to each side of the harness, then raised into the air as they bounce higher and higher. 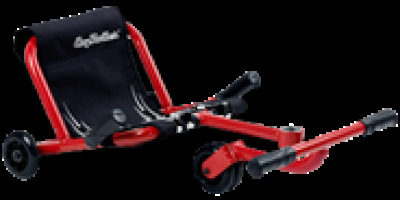 You are able to bounce and flip at will while being safely secured in the safety harness. Jacobs Ladder - Size: 17' Long x 10' Wide x 9' High This is a race against your opponent and a test of your own skill. Each of two competitors try to climb up the rope ladder. The one who makes it to the top first wins. Of course, if you fall, there is a nice soft inflatable floor to catch you. Universal in appeal, this interactive has a large potential for fund-raising events, team building, and great for prize give-a-ways! It is also very challenging, physical, great test of balance and coordination for all ages and a lot of fun! 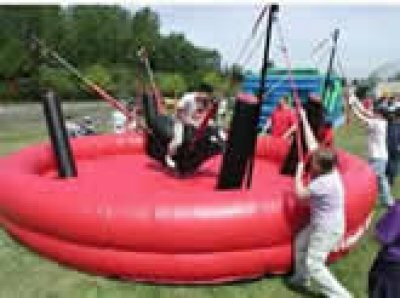 Bungee Bull - Size: 16' Long x 16' Wide x 10' High The Bungee Bull is just as much fun as riding a real bull but without the broken bone hazard. It is just as much fun as the infamous mechanical bull but without the jarring and jerking. Participants ride on a foam, padded bull and hang on for dear life while fellow cowpoke pull four bungee cords, attempting to safely toss you off onto an inflatable mattress to cushion your fall... because you will fall. Hold on tight for the ride of your life! Great for team building, as the teams pull on the cords trying to knock the opponent off, saving you money on extra labor. Requires 4 volunteers or staff to operate. Twister - Size: 16' Long x 16' Wide x 3' High Take the classic game of Twister to a whole new level as players once again learn to use their bodies as bendable playing pieces. This inflatable game will bring back nostalgic memories or induct new fans of this human pretzel-like pastime. 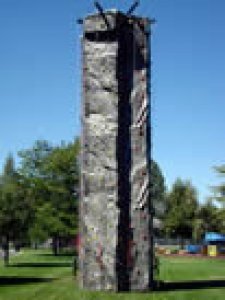 Rock Climbing Wall - Size: 30' Long x 10' Wide x 24' High Towering 24 feet above the ground, our portable rock climbing wall makes a great interactive centerpiece for any occasion. With our instructors’ guidance, the only prerequisite for getting to the top is the desire to have fun. The rock climbing walls are suitable for all ages and include routes for beginner, experienced, and professional rock climbers. It is a genuine challenge, definitely exciting, and a safe way to achieve the peak experience that all climber’s seek. From corporate events, to private birthday parties, our mobile rock walls are always a hit! Dunk Tank - Size: 6' Long x 6' Wide x 8' High: Choose who will be the lucky contestant to sit on board our dunk tank and watch them get soaked! Choose your youth pastor, teacher, your parents, or even your boss to sit on the seat of the dunk tank as an incentive for guests to participate. 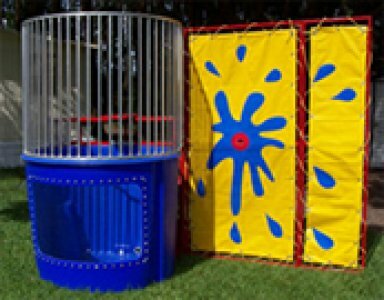 Participants get three attempts to throw their fast ball at the target on the dunk tank to drop the "dunkee" into the tank of cold water. Our dunk tanks are also great fundraising activities as well as great morale boosters. Note: The dunk tank is mounted on a trailer and is 6ft wide. To setup the dunk tank the gate/opening to access the setup location must be at least 6ft wide. Gladiator Arena - Size: 25' Long x 25' Wide x 8' High: Are you ready to rrrrrrrrrrrumble? Then step into the ring! Battle your opponent with the giant boxing gloves or the joust poles. Includes headgear, 1 set of jousting poles, and 1 set of giant boxing gloves. 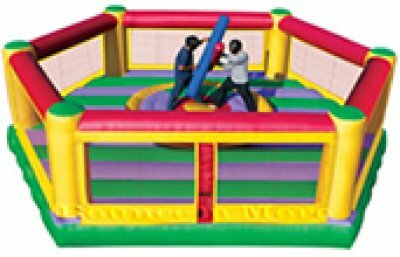 Pedestal Joust - Size: 25' Long x 25' Wide x 4' High: Bring your warrior spirit as you enter the ring and battle your opponent. 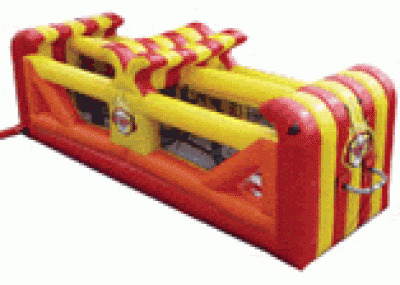 This 4 person joust arena is perfect for your party. This is also great for team building events. Includes headgear and 2 sets of jousting poles. Race To The Top - Size: 35' Long x 35' Wide x 8' High: This is a 2-4 player game. There are four lanes to choose from. Each participant enters the attraction wearing their protective head gear and goes to the side they choose. They line up in the center near the rope. When the operator blows the whistle or gives the command to start, each player races to the top using the rope and grabs one of the four colored batons for their lane. Once the player has the first baton, they slide down to the same area where they started from and places the first baton on the Velcro strip located on the top of the wall and then proceeds back to the top to retrieve another baton. The first player to have all of their colored batons placed, is declared the winner! 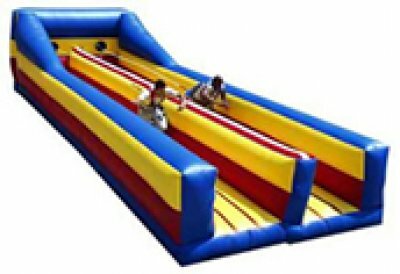 Rapid Fire - Size: 32' Long x 10' Wide x 10' High: Teams of two (with teammates kitty-corner from each other facing their opponent) start with (4) team colored balls in each lane of the inflatable. When the referee blows the whistle, each player is in a mad dash to pass their balls through the holes in the netting in front of them which separates them from their opponent. At the conclusion, the team with the least amount of balls in their lane wins! The zany catch to this game is that each player is wearing a harness that is attached to a bungee cord which is attached to the opponent next to them! Wrecking Ball - Size: 29' Long x 29' Wide x 17' High: This is the Ultimate High Energy game. (4) Players climb atop their inflated pedestal. One of the players grabs the “Wrecking Ball” and hurls it at their opponent in an attempt to knock the player off of their pedestal. 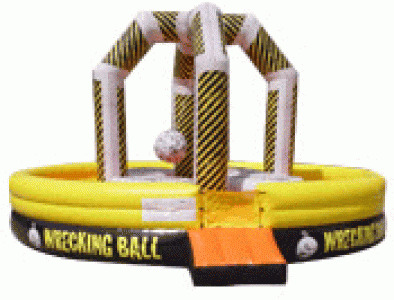 As the “wrecking Ball” swings back and forth, each player tries to hurl it at their opponents to knock them off. The last player standing is the champion. 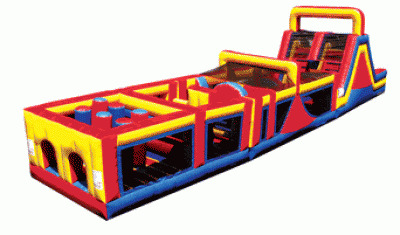 40ft Rush Obstacle Course - Size: 40' Long x 11' Wide x 10' High: Your guests will have a blast racing through this 7 element obstacle course. It features jump through openings, pop ups, log jams, squeeze walls, crawl tubes, rock wall and a slide. This obstacle course is great for any backyard event, company picnic and corporate event. 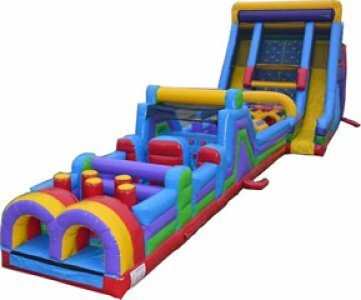 70ft Vertical Rush Obstacle Course - Size: 70' Long x 18' Wide x 22' High: Your guests will have a blast racing through this 7 element obstacle course. It features jump through openings, pop ups, log jams, squeeze walls, crawl tubes, rock wall and a slide. It's not over yet! Then you race your opponent through the entrance tunnels, bash your way through the inflated pillars and climb up 20ft of rockwall to the top platform where you finally hit the slide and slide down. This obstacle course is great for any backyard event, company picnic and corporate event. 85ft Boot Camp Challenge Obstacle Course - Size: 85' Long x 12' Wide x 16' High: Get ready for combat as you challenge your opponent to the ultimate Boot Camp Challenge! What tactics will you use when you jump through your first hole and squeeze through the inflated pillars only to be met up with hedgehogs? You better have upper body strength to grab the rope and swing to the other side, or whoops... you'll get wet! As you go through the vertical pillars, watch out... Lazer Beams! Are you tired yet? You still must face another obstacle before climbing your way to the top and sliding 20' to victory! 65ft Mega Obstacle Course - Size: 65' Long x 12' Wide x 16' High: The 65ft Mega Obstacle course has 2 lanes through 9 different challenges! Your guests will crawl through tunnels, jump through holes, squeeze between log jams, pinball their way through biff n bash poles, climb up the 8’ ramps, and scream down a 16’ slide! Can something this fun be safe? Yes! There is safety screen mesh throughout the course to keep kids from taking a wrong turn and cracking their noggin on the ground. Zip It Obstacle Course - Size: 50' Long x 10' Wide x 16' High: This is 50 feet of Fun! Enter the bulls eye and zip through the bumpers and mushrooms before climbing up the steps and down the slide. Zip through the gate; enter an even taller slide “Zipping It” to the finish line. Dual lanes allow the kids to race side by side. Themed Slide - Size: 26' Long X 11' Wide X 18' High: 18' Themed Slide. Great for all ages! The ultimate in Texas summer fun! Perfect for all seasons, many different themes available (see list below). Everyone will be talking about how much fun they had at your special event. Dynamite Slide - Size: 25' Long x 11' Wide x 18' High: Almost 2 stories tall! The Dynamite Slide blows up to 18' high with an exciting ride down! Like all of our equipment, this is made of air inflated fabric engineered to give the kids their own mountain to climb and ride down. There is a bumper rail at the bottom to catch the daredevils as they come laughing down from their lightning descent. They'll love this at the party! 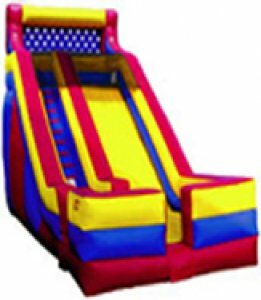 Happy Slide - Size: 26' Long X 11' Wide X 16' High: Great for all ages! The ultimate in Texas summer fun! Perfect for all seasons, can be used year round. Everyone will be talking about how much fun they had at your special event. 2 Lane Turbo Slide - Size: 33' Long x 15' Wide x 24' High: This slide is BIG!! It's 24' tall and will tower over your house. The kids will get a turbo rush going down this slide. Like all of our equipment, this is made of air inflated fabric engineered to give the kids their own mountain to climb and ride down. There is a bumper rail at the bottom to catch the daredevils as they come laughing down from their lightning descent. They'll love this at the party! 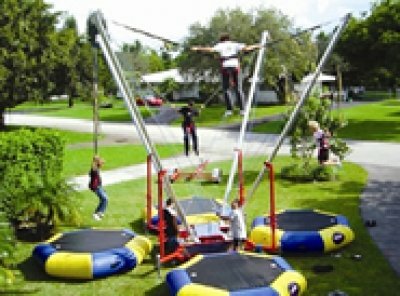 Backyard Obstacle Course - Size: 18' Long x 15' Wide x 16' High: This obstacle course has the most fun packed into a backyard sized unit! It's 70 feet of fun loaded with 9 different obstacles to navigate through, including a 6 foot obstacle tunnel. The tunnel passes right through the center of the Slide to the other side. There you will find 3 more challenging obstacles to go through before you enter the ladder climb which leads you to the top of our 16' slide. From the top of the slide, you're guaranteed a thrilling ride down to the bottom. Even the big kids (adults too!) will get a rush from our 50 degree sliding angle! Themed Combo - 2 Lane Slide - Size: 26.5 ’ Long X 13’ Wide X 14’ High: Can't decide whether you want a bouncer or a slide? You'll get the best of both worlds with this model! A wonderful bounce house that you know the kids will love, and a connected slide! From inside the bouncer, kids will climb up to the top of the slide, zip down, and then run around to come back for more! This combo is available in a variety of themes from Happy Birthday to Dora! 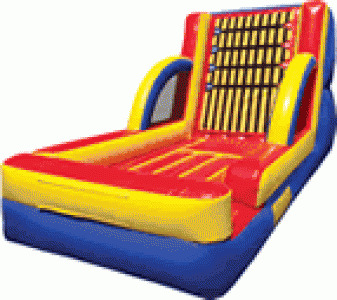 Serve up some party fun and order this combination bounce house for your next event! 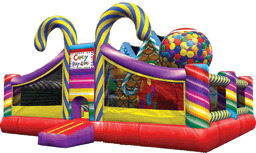 Candy Playland - Size: 16' Long x 19' Wide x 10' High: This fun unit is a candy wonderland for your kids. There is a large open play area, a gumball tunnel, and a gingerbread house slide. Once they get in, they won't want to leave. This fun unit is great for kids ages 5 and under. Fun Express Train Station - Size: 27' Long x 20' Wide x 8'9" High: Once kids enter through the front of the train, it's on to gentle climbs and whizzing slides, under upside-down obstacles, and maneuvering around pop ups. Once in the interior of the station, participants are greeted by a 3D palm tree and a train signal pole where they can bounce and play. This fun unit is great for kids ages 5 and under. 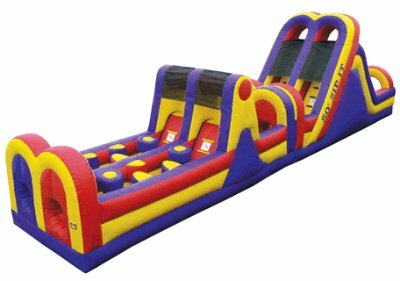 Fun House - 5 in 1 Combo - Size: 18’ Long X 15’ Wide X 17’ High: Bounce and Slide Combo with Stair Climb, and Basketball Hoops. Great for all ages! Maximize your fun! 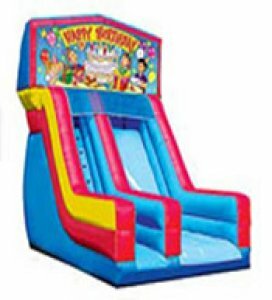 Enjoy a great looking bouncer with a 14 foot slide with a 50 degree sliding angle (even the 13 year olds will get a rush)!! Climb up the ladder inside and shoot down the slide. With dual basketball hoops you can shoot hoops inside or outside the unit. Bed Bounce - Size: 15’ Long X 15’ Wide X 14’ High: Everyone loves to jump on a bed. Now you can do it all day long and not get in trouble! 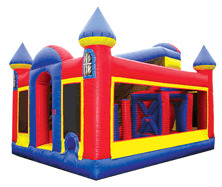 Royal Castle - Size: 15’ Long X 15’ Wide X 14’ High: This bounce house is great for all ages! 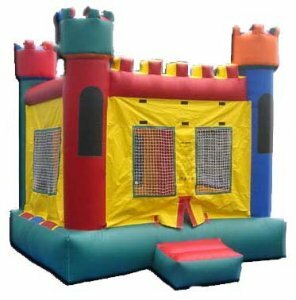 Enjoy a great looking castle bouncer your kids will love. Every young child will want to play in this castle. Sun shade canopy covers the bounce area. Dinosaur Planet - Size:15' Long X 15' Wide X 15' High: A big, wide, open floor for bouncing, with netting to keep the kids from falling out, and lots of windows for you to watch the fun! They'll pop in, and bounce like little rubber balls throughout the party. 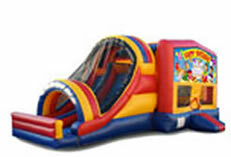 Fun House - Size: 15’ Long X 15’ Wide X 14’ High: This bounce house is great for all ages! 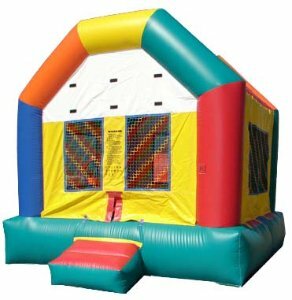 Enjoy a great looking fun house bouncer your kids will love. Every young child will want to play in this big bounce house. Sun shade canopy covers the bounce area. 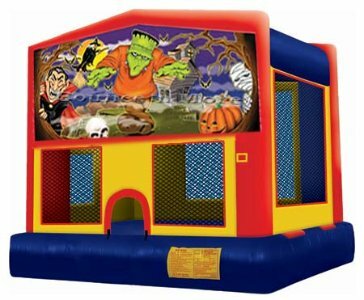 Halloween - Size: 15’ Long X 15’ Wide X 15’ High: A big, wide, open floor for bouncing, with netting to keep the kids from falling out, and lots of windows for you to watch the fun! They'll pop in, and bounce like little rubber balls throughout the party. 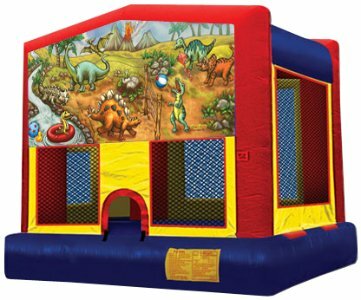 Play Time - Size: 17’6" Long X 14’6" Wide X 12’6" High: This bounce house is great for all ages! 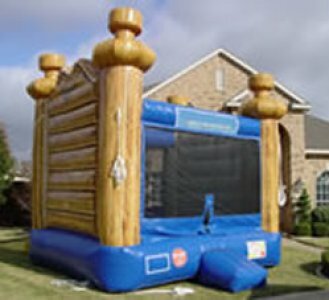 Enjoy a great looking fun house bouncer your kids will love. Every young child will want to play in this big bounce house. Sun shade canopy covers the bounce area. 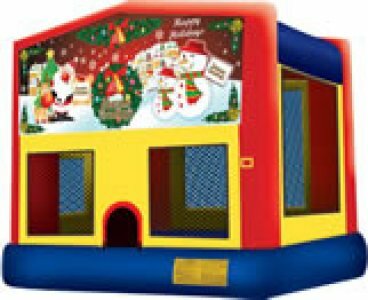 Seasons Greetings - Size: 15’ Long X 15’ Wide X 15’ High: If you are having a holiday party, this is the bounce house for you! Bring the holiday festivities outside with Santa, his reindeer, and the snowmen. Whether it's a Christmas party or a holiday party, this will add the finishing touch to your event. Add this theme to a standard bounce house or one of our fun combos with a slide. 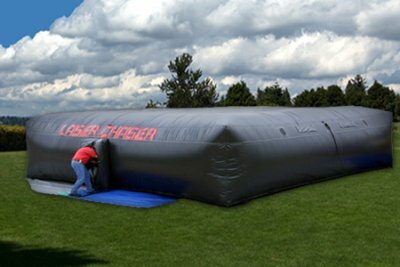 Sports All Star - Size:15’ Long X 15’ Wide X 15’ High: This is the perfect bounce house for all your sports fanatics! It's large enough to jump and play all day. Has a basketball hoop inside (balls not included).